A recent announcement by Google revealed that the use of overlays (including opt-in forms) will no longer be deemed "mobile friendly". This, in turn, can affect your website's search rankings. In this post, you'll discover what Google's announcement is really about and you'll see the update we've already released for Thrive Leads, to help you stay compliant. The End of Opt-In Popups? In the announcement, Google states that the use of "intrusive interstitials" will lead to a page losing it's mobile friendly rating. Reading some of the reactions to this announcement, you'd be excused to think Google actually declared the end of "opt-in popups" and perhaps the end of list building altogether. The changes affect only a page's ranking in mobile search results, based on what visitors on mobile devices will see on the page. What's commonly referred to as an "opt-in popup" is actually not a popup at all. Instead, these opt-in forms are technically modals, also known as lightboxes or overlays. Or, in Google's own words "interstitials". It means the change isn't about technicalities. Whether the "interstitial" you're showing is an opt-in form, a banner ad or something else doesn't matter.​ Whether it's an overlay or inline with your content doesn't matter either. You can still show opt-in forms to your mobile visitors. And you can also still use overlays. What's important is that you don't use up a large part of the available screen space. The interstitial, in this case, would be the banner ad at the top of the screen. This could still be shown as an overlay, just not one that covers the whole screen. Another factor mentioned is that it should be easy for the user to close the interstitial. In other words: have a clearly visible close icon on your overlay. The announced change will take effect on January 10, 2017. For now, nothing has changed. Once the change does come into effect, you may still find that a page using an obtrusive, screen-filling overlay ends up ranking highly in mobile search results, though. The "mobile friendly" factor is still just one of many ranking factors. So, even if you don't change a single thing about the opt-in forms you're using, your site won't get banned or deindexed. In Thrive Leads, you can create ThriveBoxes, which are opt-in forms that appear on click. You can add these anywhere in your content and they will show up when a visitor clicks on a text link, a button or an image that you determine. The little "mobile friendly" tag will no longer be shown next to any results in mobile search, simply because the majority of pages are rated mobile friendly at this point. 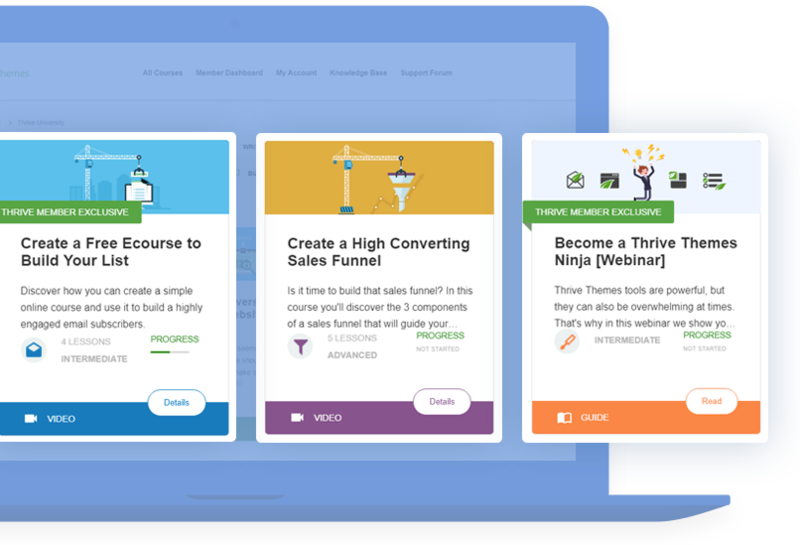 If you're using Thrive Leads, we want to continue making it as easy as possible for you to maximize lead generation on your site. To this end, we released a new version of the plugin today, which comes with a change that allows you to show a different form to your mobile visitors than to your desktop visitors. In your Lead Groups, you can now determine whether a form should be shown on desktop devices, on mobile devices, on both or on neither and you can set this for each individual form type. If you have the same targeting for your desktop form and your mobile form, make sure to add them in the same lead group. Creating a "desktop lead group" and a "mobile lead group" will not work. One of both lead groups will never show. This is due to the lead groups display rules. Put the "Show on desktop" toggle to "on" and the "Show on mobile" toggle to "off"
Put the "Show on desktop" toggle to "off" and the "Show on mobile" toggle to "on"
What About Desktop Search Rankings? Could Google be looking towards implementing a check that impacts a page's ranking if there's an annoying, full screen overlay shown to desktop visitors? Perhaps, but at this point, that would be pure speculation. Generally, the more annoying opt-in forms tend to perform better (see here and here).​ Because of that, my recommendation is to keep using large overlays until there's official word or strong evidence that it could impact your search rankings. To add even more of a convenience factor, we're planning to add new form templates to Thrive Leads, which are made specifically for mobile devices, along with a few more usability improvements. What are your thoughts about this Thrive Leads update? Do you have any questions or thoughts about the announcement Google made? Let us know by leaving a comment! Thanks for this detailed overview of the new update Shane. Really looking forward to Thrive 2.0 with mobile specific editing / tweaking features, as currently there are bundles of support requests that are being sent that are specific to mobile optimisation. Looking forward to a smart resolve from you and team. When is the expected date for the 2.0 release? Yes, good point. Google can indeed detect the difference and if an overlay is opened after a user clicks on something, that won’t affect your “mobile friendly” rating. Yet another reason to be a Thrive Leads user. You guys do a great job of keeping us all in the loop, and ensuring your products are compliant. I can’t say enough good things. Thanks Thrive team! Excellent, thanks for the update Shane and glad to see you guys are on top of this, as always. Also, the recent update to add in the ‘confirmation option’ when someone subscribes is working great. That was what I was waiting for in order to switch my sites over to Thrive Leads from multiple other products and it’s working great! Lots of great information there. Looking forward to the next update! Can you show some examples of the types of buttons you have in mind? Shane, thank you for this update.. I have been keeping up with these updates as much as I can to keep my clients at bay, but your post here clarifies alot more of what I was uncertain about.. Thanks again. It also appears that going with 2-step with a non-intrusive button on the 1st step may be a safe design if in doubt. Thanks again! Yes, that’s correct. If the user initializes an overlay with a click, that’s fine. Glad we could help, Arvin! Thank you so much for your quick response to this announcement by Google. Also, thank you very much for the video and post which provide professional explanations and enlightenment on this matter. Great work in research and adapting Thrive Leads! Can this “off for mobiles” option be included for TCB lightboxes as well? At this time, no. However, we are planning to unify TCB lightboxes and Thrive Leads lightboxes, so that the feature will carry over in the future. Thanks so much for the mobile friendly form solution! Really appreciate how Thrive Themes stays updated to the latest Google changes and makes the necessary adjustments for its users—one less thing to worry about! Thanks for always being on top of these changes. The comfort that I have in your knowledge, tools and services allows me to expand my business every month. Very important notes, Shane! Many thanks! Glad you like it, Adrian! To me, a more relevant question would be, for those using lightboxes for purposes OTHER than opt-in, what will the impact be? Our overlays only appear if the user clicks a button – usually to see more information. The question is if that sort of use of lightboxes is affected at all by Googles change pronouncement? Thanks for bringing this up – I’ve added a note about this to the post. 1) It doesn’t matter whether the purpose is for an opt-in form, for an ad, for related posts etc. It will still count as “intrusive”. 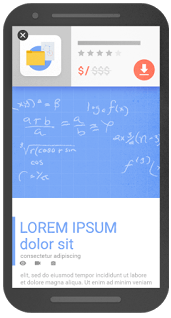 Google names legally necessary overlays as exceptions – e.g. an overlay asking for age verification or one asking for cookie consent. 2) When an overlay is initialized by a visitor click, it will not be deemed intrusive and thus won’t affect your mobile friendly rating. I appreciate it. But, there’s so much jargon in this business. I’ve had Thrive installed for months and I don’t know what Thrive Leads are. Are they popups, and if they are, why not call them that. I write a health and fitness website, I’m not a website designer or marketer. Lightbox – what is it? Etc. They are not popups, no. Although the term “popup” is often used to describe an opt-in form that appears as an overlay, that is actually the wrong term to use, since a popup is really a small browser window that automatically opens up. Thrive Leads is a plugin which is all about lead generation. It does more than one thing, but everything it does is about lead generation. Hence the name “Thrive Leads”. Each individual feature in Thrive Leads is named to be as descriptive as possible. For example, a form through which someone opts in to your mailing list is called an opt-in form. An overlay that fills the entire screen is called a “screen filler”, a form that slides in from the side of the screen is called a “slide in” and so on. We try to avoid being overly jargon heavy, but to some degree, I’m afraid it can’t be avoided. I’ve been waiting for this switch since I have joined Thrive. May be a “workaround” maybe compared to what you have coming soon, but I always considered a big strategic issue that I could not choose to show something only in mobile. It actually was my first ticket after joining in… lol Great stuff! I know it’s been taking a while to come together, but I’m sure you’ll like the mobile features we’ve been working on. Thank you so much for the update on the looming Google Update on Interstitials… and assurance Shane. And also for keeping us in the loop. My Plugin is updated and my forms too. You rock! Speaking of ‘display on mobile’, I was wondering whether you guys were considering rolling that kind of option out to Content Editor? It would be great to tick a box to hide on mobile and/or tablets, just like you can in OptimizePress (and maybe a whole page redirect feature too). when will leads be upgraded? right now it says display on mobile and display status. your video shows display on mobile and display on desktop. is this an old video or are you upgrading thrive leads? If you don’t see the update yet, you can click on the “Check for Updates” link next to Thrive Leads in your plugins list. Just a couple weeks ago I requested exactly this feature in the support forum because I wanted to make different popups for desktop and mobile. Heading over now tomake the update! Thanks! I knew you guys would come through on this and i was just waiting for the news. Glad to be of service, Stacie. Wow Shane! You did it again! The minute I heard from the Google update coming up, I was thinking: “Luckily I don’t have to worry, because Shane will get us covered!” And indeed you did! Within the shortest amount of time! Great work and thanks! If you don’t inform us maybe we will never know about it… now, I will set for mobile only for ribbon templates. To be honest, the hoopla over mobile friendly rank influence has been big news but the actual changes in ranking pages deemed not mobile friendly has been rather underwhelming in my observation. Sometimes there is a little shift. Sometimes not. You can apply the same animations to Thrive Leads lightboxes as well. Also, the on your example page only opens up on click, so this isn’t an issue for mobile friendliness. Regardless of Google this is a really cool additional option for further dividing traffic between forms types that have tested to work better on mobile than desktop and vice versa. Awesome update once again! :) Thanks guys! Thank you for clarifying a complicated matter. This helps a lot. I use the lightbox-type optins on our site and they work great. Glad you found this useful, Leelo! Thank You for your announcement and comprehensive post. Great feature and tips. I find it humorous how Google likes to suggest (dictate) how you layout your site in ways that are less optimal for you to generate revenue, yet ‘guess what takes up the entire top fold of the search page’ on any given commercial search terms…ads. Sigh. Reasonable use of screen space? Smh. Thanks for the update. Glad to see you guys are on top of it in any case. Haha yeah, that’s a good point. Everyone has to play by Google’s rules… except Google. Although it’s worth noting that having this mark against your page doesn’t mean you can’t rank. And having a page that doesn’t rank doesn’t mean it can’t be a valuable page for your business. So, it’s not unreasonable to decide that getting more leads is more important than being mobile friendly. If it only fills 1/4 of the page, you should be fine. And if it triggers on a click, it doesn’t matter how much of the screen it covers. On click, it won’t fall into the category of “intrusive” anymore. I actually don’t know how this would affect the rating. I think you’ll have to wait until the feature rolls out and then test it in the Google Mobile Friendly test tool. Currently, no kind of modal will mark your site as not mobile friendly, that’s why you’ll have to wait until January to run the test. Hey Shane – Thanks so much (to you and the Thrive Team) for being on top of this – so we don’t have to be :-). I’m once again reminded how awesome it is to be a Thrive customer. Thank you Shane, I really look forward to my emails from thrive, I can honestly say that they are the only emails I consistently open every time! I rely on Content builder and Leads sooo much now! I am glad I read this even though I have heard about it already because I thought the date was the end of February, my bad! As always thanks for the great info, please please keep making the videos I watch them all !!!!! So Awesome. Great updates that follows the trends (and much more), that’s what you get for buying from a reputable company who cares about its customers. Shane, a couple of the great things I love about you guys is that you are always on top of what’s happening currently, and you make your products adapt to those changes. Both are good for us out here and I certainly appreciate your work on that. Shane, watching this video gave me an idea. This bottom ribbon actually reminds me of a Cookie warning ribbon. Why not use thrive leads for Cookie warnings as well? Is it possible to create a ribbon that will never be displayed again if the user clicks ok? Challenge: Could you even create a cookie ribbon which can be tasty enough to make people signup for your list at the same time as they accepts that the website is using cookies? You could theoretically use it for this purpose, yes. I’m not sure about the idea of trying to combine cookie consent with an opt-in. This is wonderful – never mind the google update, it’s exactly the experience I’d like to give my visitors. I love the way you guys really think things through to make sure they work really well. Hi, what about the Ultimatum Countdown, since it covers a lot of space in the mobile? You guys are a fantastic company. I’m always impressed with your tool and tutorials. Thank you! Thank you very much, Elizabeth! Thanks for this Shane. Was about to install pop ups and set them to mobile as well – crisis averted! Thanks for that Shane, really helped! Love it! You’re always up to date on the latest news. I don’t ever need to go anywhere else because I know you’ve got me covered!